PATIENCE and persistence has paid off for a Queensland snake catcher who had a five-hour Mexican standoff with a mammoth Eastern brown. 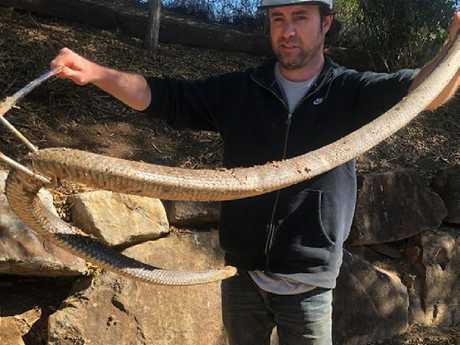 Andrew Smedley, who owns Andrew's SNAKE Removal, spent a large chunk of Tuesday in wait for an Eastern Brown that had made a habit of sunbaking on a rock wall at a residence in Marburg, 60km west of Brisbane. The snake had a habit of making daily appearances about 9am, and sure enough, as if it was keeping an appointment, the Eastern brown slithered out for its cameo - but not long enough for Mr Smedley to nab it. It swiftly retreated into the rock wall and that's when the fun and games began for the Ipswich-based catcher who first tried to flush it out using a garden hose. "He poked his head out and then went straight back in and in situations like that I try and flush them out with a hose," Mr Smedley told The Courier-Mail. "I then dug around and removed a couple of rocks and then there was still no sign of it and I had all but given up…when I saw movement in the puddle and thought it was a toad but when I got close up it was the snake. "I waited an hour for the puddle to go down a bit and saw more of his body I grabbed him. It took five hours." 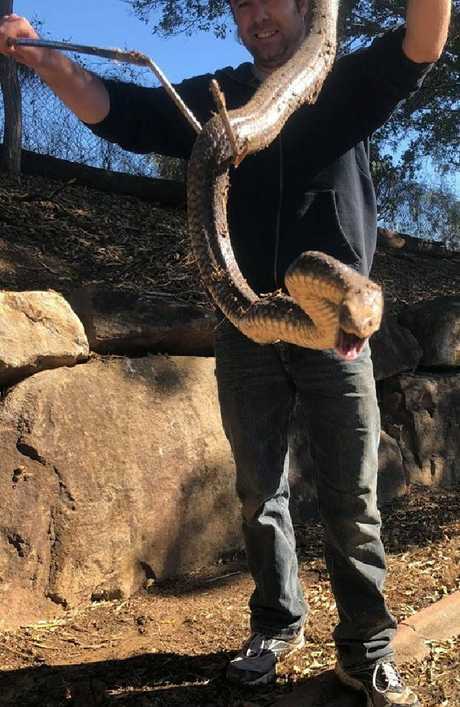 He said the snake was about 1.8 metres long and was the longest he had caught in his five years as a professional snake catcher. The extremely fit and healthy reptile was around seven to 10 years old and was relocated within a kilometre of the residence. "You have to relocate them close because they know where to hunt…and taking them too far away is of no benefit to the snake because they have to start hunting from scratch and there are likely other snakes, so they can die," he said. Mr Smedley said they preyed on rodents and helped control the population of rats and mice. He said the charge to remove snake starts between $50 and $100 although some people even baulk at that. 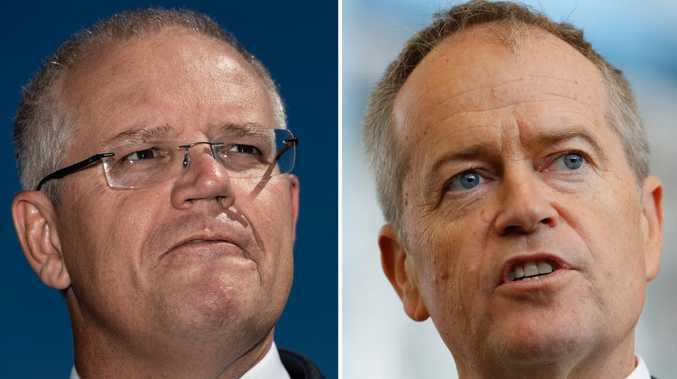 "You have to keep your prices reasonable because not everyone wants to pay…seventy per cent of people who call want a free service and some them don't want to pay, they'd say they'd rather kill it."